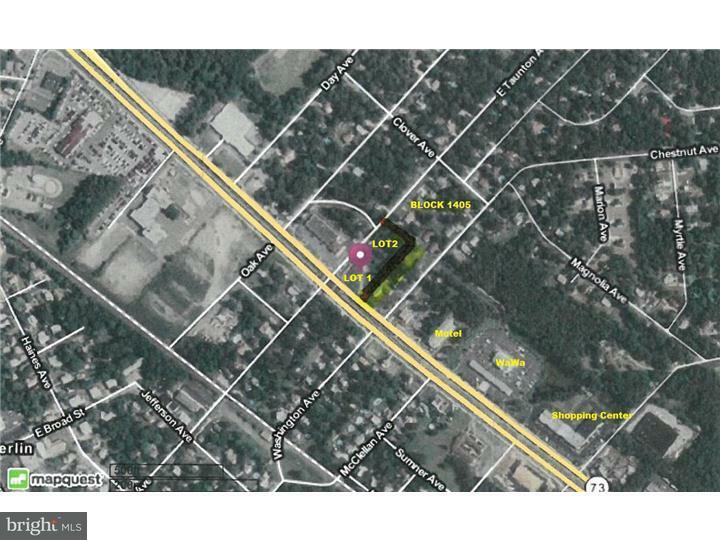 Prime Commercial Corner located at traffic light controlled intersection Route 73 and Taunton Ave. Very heavy traffic on both roads. 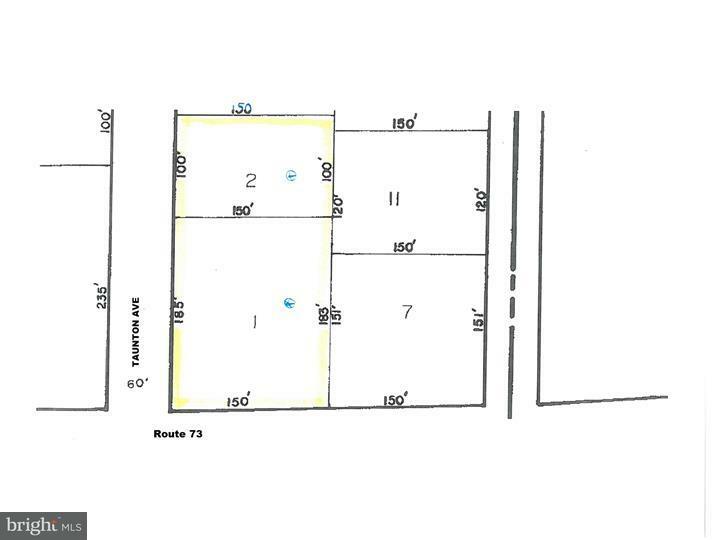 .94 Acres zoned C-2 Commercial. Many possible uses; Bank, Office/Professional, Retail, Fast Food, Drug Store with almost endless possibilities. Public sewer and Public water are available. Owner will also build to suit. 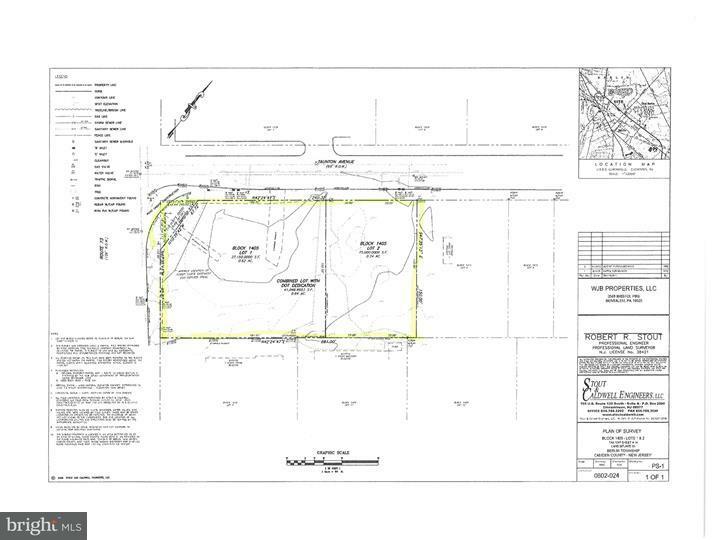 Survey and proposed site plan on file.